Solitude Wool & Fibernate Present . . . . Description: First time in the DC metro region, Fibernate and Solitude Wool are bringing John Crane from Vermont with his very impressive display of 70 different breeds of wool to delight and amaze spinners (knitters, crocheters, and weavers can be amazed too). Come early to hear John speak and introduce the display, then participate in a spinners circle with John. At noon the display will open to the public. Solitude Wool will have a spinning centric booth of washed fleece, roving and maybe a bit of yarn... Join us for this great opportunity to get inspired and stocked for the Tour de Fleece beginning on July 7th. 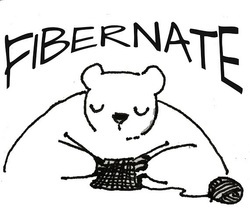 Passports for Team Fibernate & Solitude Wool will be available, and this event earns your first stamp!